Institutions and infrastructure (D.L. Featherman). 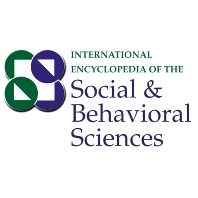 History of the social and behavioral sciences (P. Wagner). Ethics of research and applications (R. McC. Adams, J. Mittelstrass). Biographies (K.U. Mayer). Integrative concepts and issues (R.M. Lerner, R.A. Scott). Statistics (S.E. Fienberg, J.B. Kadane). Mathematics and computer sciences (A.A.J. Marley). Logic of inquiry and research design (T.D. Cook, C. Ragin). Anthropology (U. Hannerz). Archaeology (M.W. Conkey, P. Kirch). Demography (J. Hoem). Economics (O. Ashenfelter). Education (F.E. Weinert). Geography (S. Hanson). History (J. Kocka). Law (M. Galanter, L.B. Edelman). Linguistics (B. Comrie). Philosophy (P. Pettit, A. Honneth). Political science (N. Polsby). Clinical and applied psychology (T. Wilson). Cognitive psychology and cognitive science (W. Kintsch). Developmental, social, personality and motivational psychology (N. Eisenberg). Sociology (R. Boudon). Evolutionary sciences (W. Durham, M.W. Feldman). Genetics, behavior and society (M.W. Feldman, R. Wehner). Behavioral and cognitive neuroscience (R.F. Thompson, J.L. McClelland). Psychiatry (M. Sabshin, F. Holsboer). Health (R. Schwarzer, J.S. House). Gender studies (P. England). Religious studies (D. Martin). Expressive forms (W. Griswold). Environmental/ecological sciences (B.L. Turner). Science and technology studies (S. Jasanoff). Area and international studies (M. Byrne McDonnell, C. Culhoun). Organizational and management studies (A. Martinelli). Media studies and commercial applications (M. Schudson). Urban studies and planning (E. Birch). Public policy (K. Prewitt, I. Katznelson). Modern cultural concerns (R.A. Shweder).